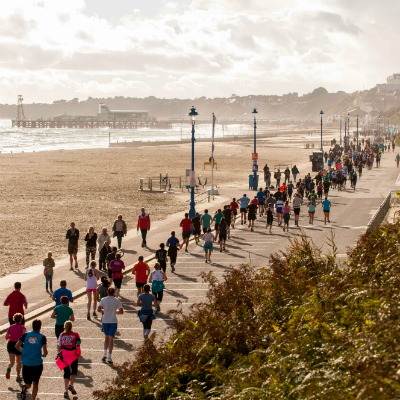 A record breaking 15,000 runners signed up to run in the fifth edition of the Bournemouth Marathon Festival on Saturday 7th and Sunday 8th October. 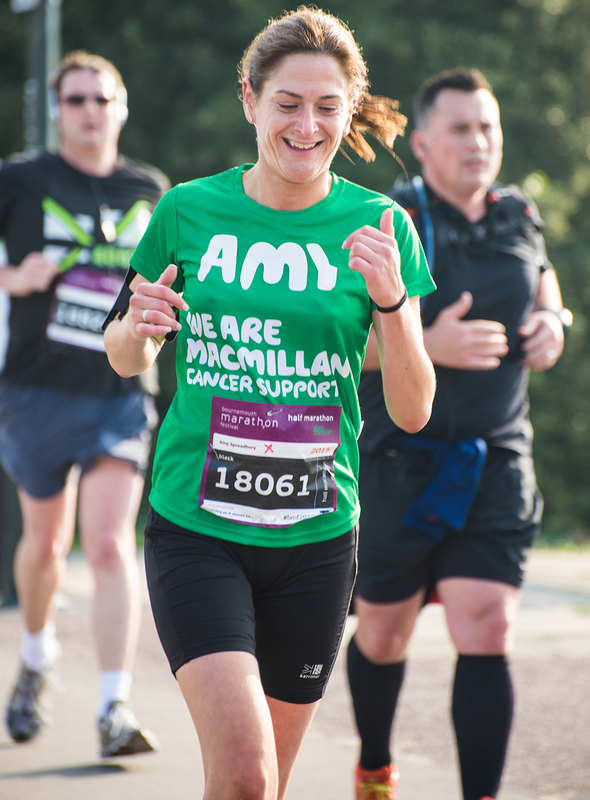 Runners from across the UK and beyond gathered on the Dorset coastline for the biggest event yet. 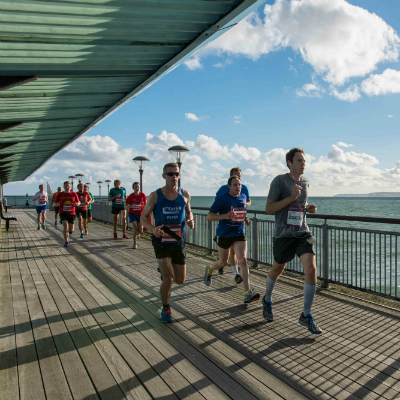 The South Coast festival included a Marathon, Half Marathon 10k, 5k, and four Junior races which made for an action-packed weekend. 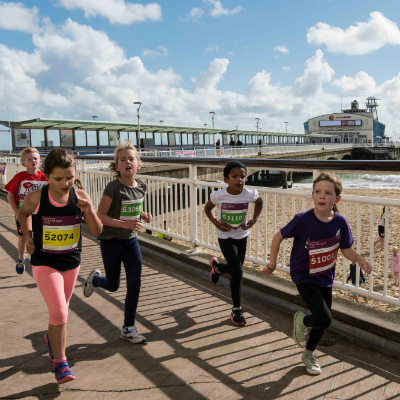 The four junior races, which included two brand new races for 2017, kicked the festival off at Saturday lunchtime, with hundreds of enthusiastic young runners crossing the finish line in the bright Bournemouth sunshine. The first ever Kids’ Kilometre was first up at 12noon for ages 3-6. The 1.5k race then took place and saw Ono Anyan Hobbs first home in 5 minutes 50 seconds, while the first female home was Millie Fisher-wyatt in a time of 6 minutes and 32 seconds. An hour later, it was the turn of the 9-12 year olds in the 2K. Jon Pepin of New Forest Junior AC, last year’s 1.5k winner was first across the line in 7 minutes and 11 seconds, and Southampton AC’s Megan Hulbert successfully defended her title from last year, coming across the finish line in 7 minutes and 55 seconds. The winner of the first ever Junior 5k was Sean Harnett, who crossed the finish line in 17 minutes exactly, while the first female Fern Kimber, came home in a time of 19 minutes and 49 seconds. As dusk fell in Bournemouth, it was time for the glow in the dark Supernova 5K runners to light up the night. The final Saturday race kicked off at 7pm; runners set off along the promenade clad with fluorescent gear and each with a headtorch, creating a breathtaking visual spectacle. The eventual winner was Bayley Massey from Cambridge Harriers, successfully defending his title from last year. He finished in a time of 16 minutes 17 seconds. 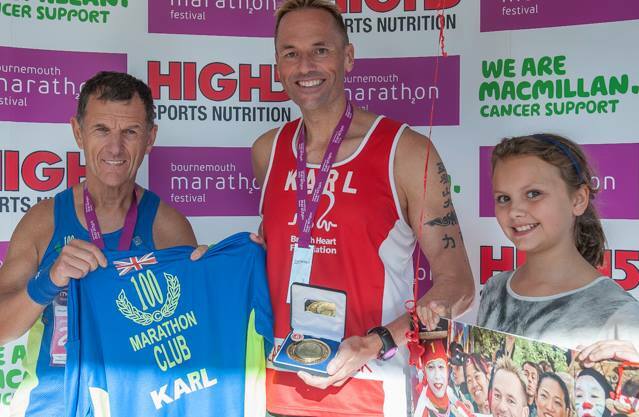 Bayley was followed home by Bournemouth AC club mates Rob McTaggart in second and Billy McGreevy in third place. Lara Atkinson, also from Cambridge Harriers, was first female finisher – successfully defending her title from the previous two years. 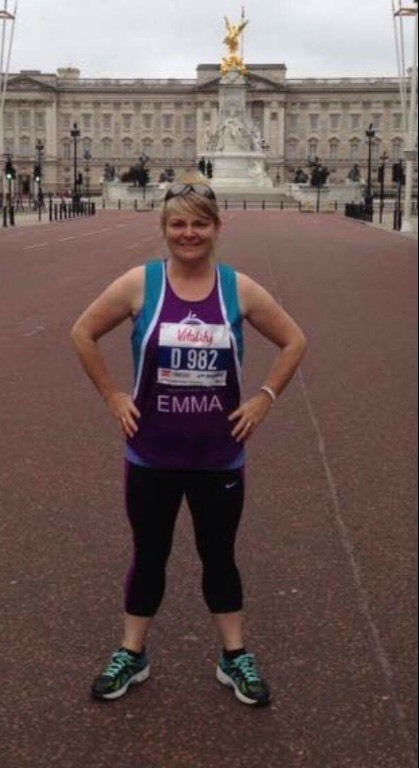 She raced round the 5k route in 18 minutes 38 seconds. Sunday’s Half Marathon event saw a new female course record set by Anna Boniface of Reading AC with a speedy time of 1:19:46. The final event of the 2017 festival was the marathon, which got underway at 10am from Kings Park under brilliant blue skies. 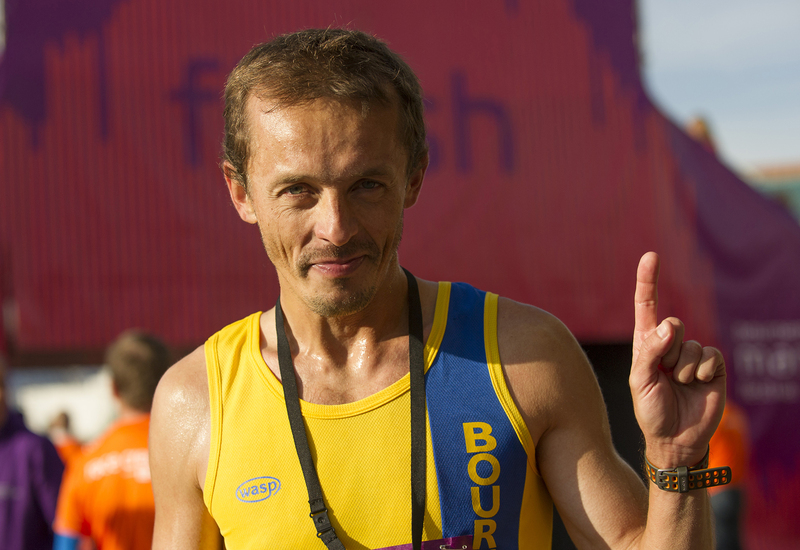 Pre-race favourite Jacek Cieluszecki broke clear early on and was in the lead as he ran over Bournemouth Pier and through the finish area in Lower Gardens with 9 miles remaining. Cieluszecki kept his pace up and came through the finish line to claim first prize in a time of 2:32:00. Elsewhere, there were plenty of other inspirational people doing truly incredible things. One such example was little Jake Dixon who took part in the first ever Kids’ Kilometre to raise funds for local hospice Forest Holme in memory of his dad Shaun, who sadly passed away from cancer in 2014. 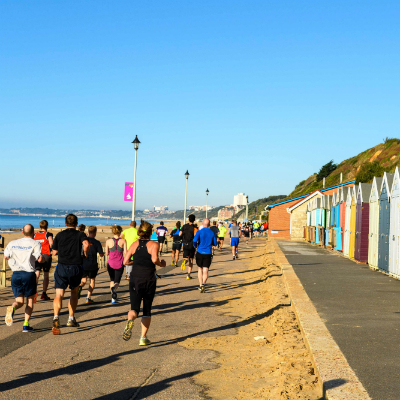 Sandra Scott, Race Director said: “It’s been another amazing weekend of seaside running at the Bournemouth Marathon Festival, with over half a million pounds raised for good causes. “We’d also like to say thank you to the phenomenal support by local residents who came out to cheer and encourage the runners all along the route.